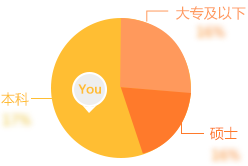 	A multi-solution provider for selected target HK/TW corporates that fit into our client portfolio. To establish long term relationship with target clients and follow and comply rules and regulations. 	Manage existing relationship and explore new relationship, develop relationship with existing clients pursuing ancillary business. Start new relationship with clients who have potentials to be core clients. 	Maximize the bank’s overall return, efficiently use the bank’s resources and capital. Effectively work with products group and cross selling, documentation to protect the Bank’s interest. 	Credit Monitoring, complete credit application for new and/or renewal transaction, and conduct deep and thorough credit analysis before extending credit. 	Cooperate with products group and/or other departments to develop new products and services, bring new ideas. 	Improve SMBC’s market profile, mandate hunting, proactively lead the team and to be a role model for subordinates. 	Collaboration with various teams of SMBC’s overseas office to support our client’s overseas operation, timely sharing of information, and provide value added information to clients. 	Follow and comply with rules and regulations, understand and follow internal and external regulations and rules, close communication with Legal & Compliance departments as well as back & middle offices. 	Around. 7-8 years experience in banking/financial services industry as relationship manager is preferred. 	Relationship management, credit monitoring, risk management, financial analysis, banking and finance products, negotiation and presentation, communication. As one of the famous commercial banks in the world, with branches overseas widely, SMBC is engaged in providing our customers with superior banking products and services by the international view and strategy. Since 1982, the first representative office was established in Beijing, the development in China of SMBC has been aroubd 30 years` history. With local incorporation in April 2009, SMBCCN was established in Shanghai as its Head Office. 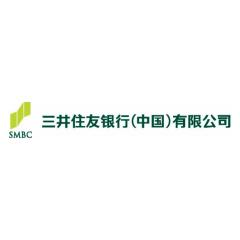 The other original branches in China Mainland of SMBC have become SMBCCN`s local branches institutions. At present SMBCCN has office network of 9 branches in Beijing,Guangzhou,Hangzhou,Suzhou,Tianjin,Shenyang, Chong Qing ,Shenzhen and Dalian, 6 sub-branches in Suzhou Industrial Park, Tianjin Binhai District, Changshu, Kunshan, Shanghai Puxi and Shanghai Pilot Free Trade Zone.